as beans on toast – spiced up with a single secret ingredient. Well, inside, some rather big names reveal theirs for charity. – and don’t forget to send us your favourites. We’ll publish the most delicious later in the year. wedding and even how the humble turnip changed history. Well, we did promise you the odd surprise. 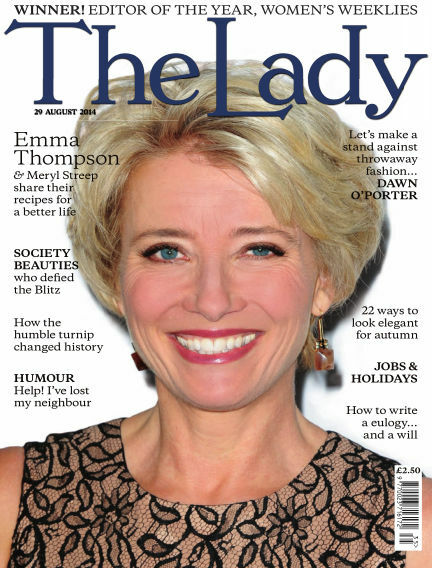 With Readly you can read The Lady (issue 29th August 2014) and thousands of other magazines on your tablet and smartphone. Get access to all with just one subscription. New releases and back issues – all included.